In these nine surprising stories about love and the desertion of love, a father contemplates his bank balance amid receipts for ski vacations; a real-estate agent tries to sell a house while his small son bites other children; and a widower, resigned to television for company, discovers the pleasures of life with another woman. In Kevin Canty’s masterful collection, men convey the bitterness, tenderness, and humor of romantic relationships. Rarely is a man so revealing. 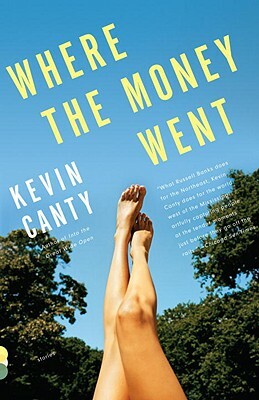 Kevin Canty is the award-winning author of the novels Into the Great Wide Open, Nine Below Zero, and Winslow in Love, as well as the short story collections Honeymoon and Other Stories, A Stranger in This World and Where the Money Went. His work has been published in The New Yorker, Esquire, GQ, Details, Story, the New York Times Magazine, Tin House and Glimmer Train. He currently teaches fiction writing at the University of Montana.